Some occupations require a very specific type of person; for example, firefighter need to be brave and strong, doctors need to be meticulous and prepared, lawyers need to be aggressive and persuasive, high school teacher need to be patience and influential. However, some job descriptions require just about every quality in the book: Channel Manager. From being an excellent communicator to maintaining sound, thorough judgment. From accountability to transparency, from analytical to fiercely competitive, from intuitive to rationale—channel manager fill a role that few master, and many falter—but nonetheless—a position that shows a growing need. 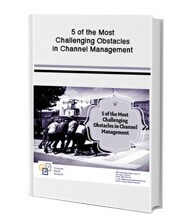 Take a look through this informative and fun eBook for “5 of the Most Challenging Obstacles in Channel Management” by filling out the form.